Good evening everyone! 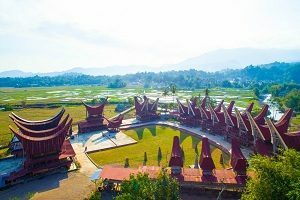 Like always, we have another great list for you to read, the things to do in Tana Toraja, South Sulawesi. This part of the island is indeed really mysterious and full of this kind of thick mystical aura around it. The places is very good for exploration, either for cultural purpose or historical purposes. 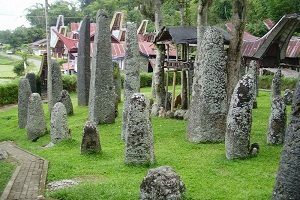 But beside those two, the other reason you should visit this unique ad special Tana Toraja is because of its attractions. There you can find many of them, most all of them are free of charge though, isn’t that a good news? Our first spot is the iconic village of Kete Kesu located in Panatakan Lolo area. For the main gate you can see all the traditional houses neatly built, complete with green vegetations around it. The view only is pretty amazing here, you might take a picture or two for you. 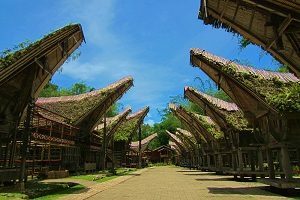 Then after enjoying the exterior of the houses, you can finally visit them with your best guide, entering the old magnificent buildings of Tana Toraja. There you can find the building has mostly wood-made furniture because the really respect what the nature gave them. Then they built their own beautiful village in the middle of this woods that really interesting too see. Well, there are more things to do in Tana Toraja before you die. May call this Batutumonga village as a village up on the clouds. Well, they didn’t lied to us. You can see directly the clouds moving upon you. Why ? How come? The answer is pretty simple actually. The village is located in this very high area of Tana Toraja. That’s why the clouds can be seen in such a close range. Then, you can go to to the Sesean Matallo area to find the village. Then you can also enjoy the most beautiful scene you ever imagine. The green fast grass land plus the view of the clouds around you. Looks very magical to us, maybe to you too. This one may looks a bit creepy. Yep, this is the cemetery, where the dead people “resting” in their own unique way. How unique? The way of how they manage the dead body is by place them in this cave like cliff in the highlands. Then they places them into this kind of wooden box with kind of shapes which resembling their social status, and then put them or “hanging” them on the cliff. You can see them by yourself though, also if you’re too scared to watch then you may take a look at the picture we provided for you. Creepy. The next one is Bori Parinding. Located in the north side of Tana Toraja. Just like its name “Batu” or we can say as stone in English, the places filled with this kind of unusual shape of rocks. First at the center of the spot, you can find these oval and tall rocks in the middle of the park. The others are a little far away from that which have bigger size. So, you may as well call it as a megalithic site, surely there’s history or myth that you can learn from the guides there, We don’t want to spoil anything, you can learn them yourself by the best people that can tell you about it in there. So, fulfill your knowledge and relax a bit in this rocky green park of Bori Parinding. The first location that’s very great for camping is this Ollon Hill. 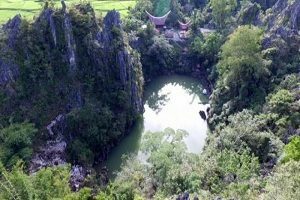 Located in the Bonggakaradeng area, also the one of the high lands in Tana Toraja. The hill looks pretty amazing though, because of how clean they are and the panorama there is so stunning. After exploring a bit, let;’t go to the museum. No, it’s not so boring, don’t worry. Of all the museums in Indonesia, maybe this one is the most beautiful of them all. 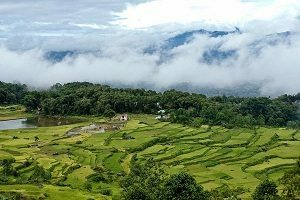 First off the view of the rice fields near the area that look very beautiful in the morning and also the traditional buildings that they used. In there, you can study a bit about Tana toraja traditions and also cultures. Really worth to watch to be honest. Like said above, the best time to visit it is in the morning, when you can see the reflection of the sun rise on the rice fields and stuff. Learning while having fun studying, sounds so great. Then let’s go for a bit refreshing at the Seven steps waterfall. Like the name implies, you can see the seven steps or rocks actually starting from the top of the waterfall to the downstream. Yep, they’re seven if count right. You can take a bath for a while, in any step you want. You can go to the top step, which is the first by climbing the small rocks there. Even though it’s a bit dangerous, but it’s reachable with some little efforts. Be careful though, don’t push yourself too hard. 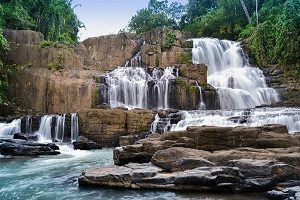 After visiting the Seven steps waterfall, you can continue your relaxation time by visiting the Serambu Asing waterfall in Patongloan area which is looks almost as beautiful as the waterfall above. Even though it doesn’t have more steps than the first waterfall we’ve visited, but the view around the Serambu Asing is also very refreshing. Many said that this place is perfect for two, yes for you couples. So you can get here in any time you want, pick the right moment to come here with your partner. It’ll be one good story for tow surely. Try it ! Hmm a little hard to include this place into one specific category. Some people call it as the Limbong Pools, and the others said this is Limbong Pond. Well, whether is Pond or Pool or lakes, the place is also recommended for you, for students specifically. 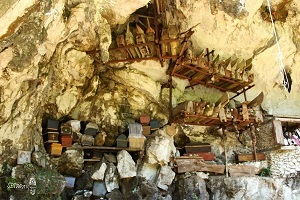 Beside the Londa cemetery, there are many other cemeteries located in Tana Toraja. Most of them are built with the way you’ve never expected before. 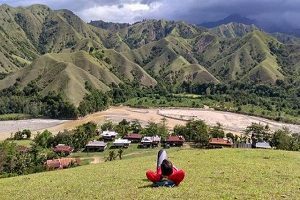 Just like this one Lokomata, which is located on North Toraja. The Lokomata way of “buried” people is somewhat new to us. So, these are what they did in the first place. They need to find a cliff, a firm one. And then, to buried the dead remains, they will make a hole on the cliff, as a place to put down their dead relative which is already putted into wood coffin. Then they just put the coffin on the hole, and leave it. That’s how they do it. 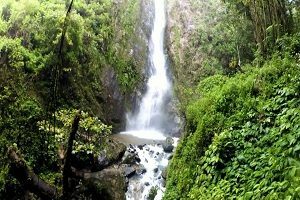 The last one on the list of 17 things you can do in Tana Toraja, South Sulawesi is Talongo Tallu waterfall. If you have a hard time to pronounce it, just call it as T.T. This double T waterfall is indeed the unique one because it has these three streams from above. You can see clearly the three streams. Well, don’t panic if you see many people there, the place is already famous. 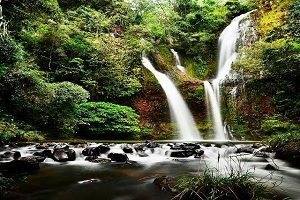 Thanks to that good looking of the three streams, the place go its fame in a short period. Then if the people enjoyed it, you may aswell do the same thing in the spot. There are six places left to go, don’t rest yet. 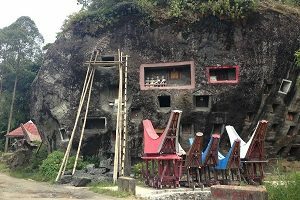 Here we go things to do in Tana Toraja before you do! Those are the things to do in Tana Toraja, South Sulawesi. Even though there are a bit scary and somewhat mysterious places available in the region, you’ll another outstanding memories of it. Also you know, the feeling of completing adventure or explorations is really rewarding for yourself. So, keep digging those beautiful memories, also don’t forget to have fun!